Anyone who runs a tire shop with auto repair services knows that every single "order" is different. Additionally, the invoices provided by tire and auto repair shops are usually very heavily reviewed by clients for each bit of work done, each fee, and every detail. This is why tire shop invoices and repair forms need to be clear, easy to use, and even easier to read. ou may also want to look at Auto Repair Business Cards. 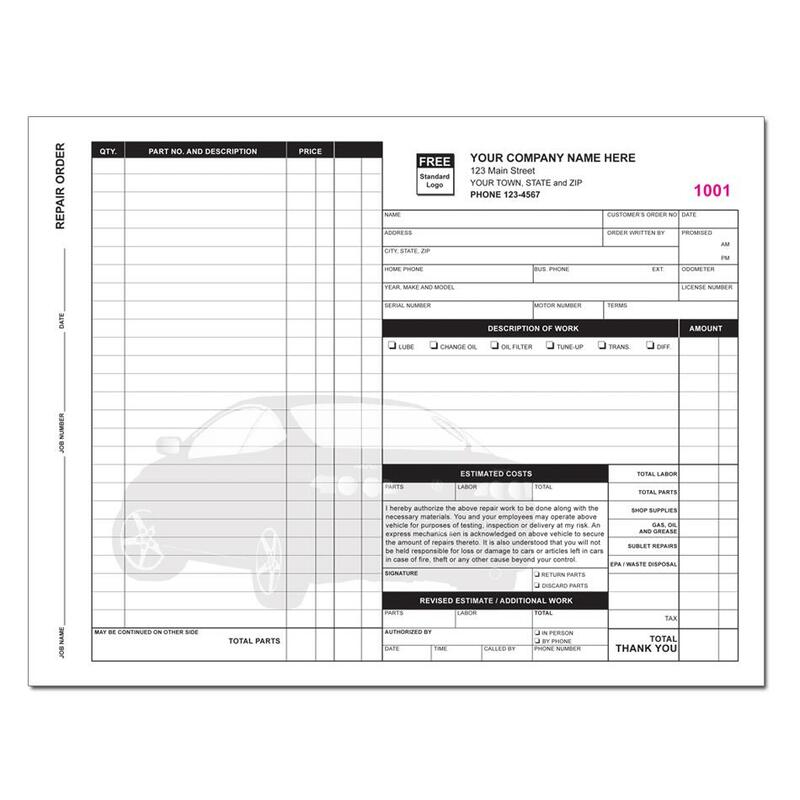 We make customizable auto repair invoices and forms available and will print carbonless forms that feature your company name and logo, and which can feature from two to four parts. 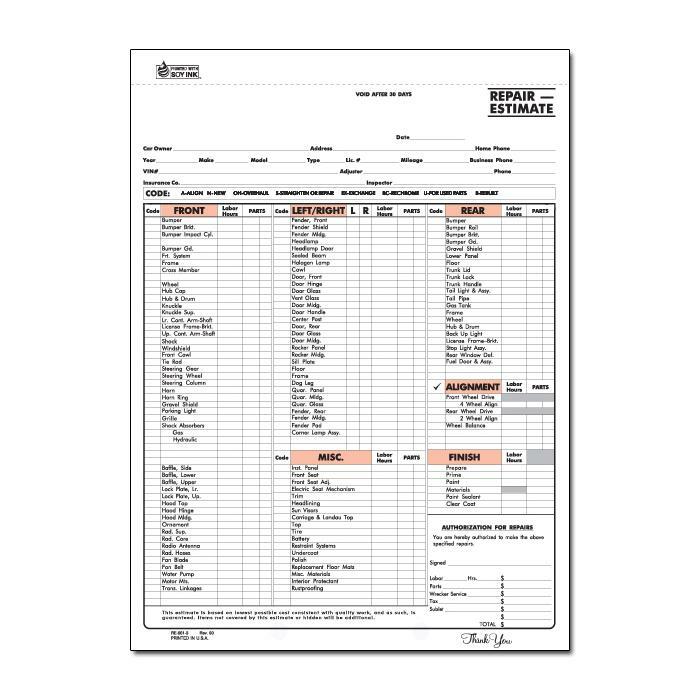 Our tire shop invoices and repair forms allow you to track all of the essential details, show costs for labor, parts, accessories, tire services, and more. 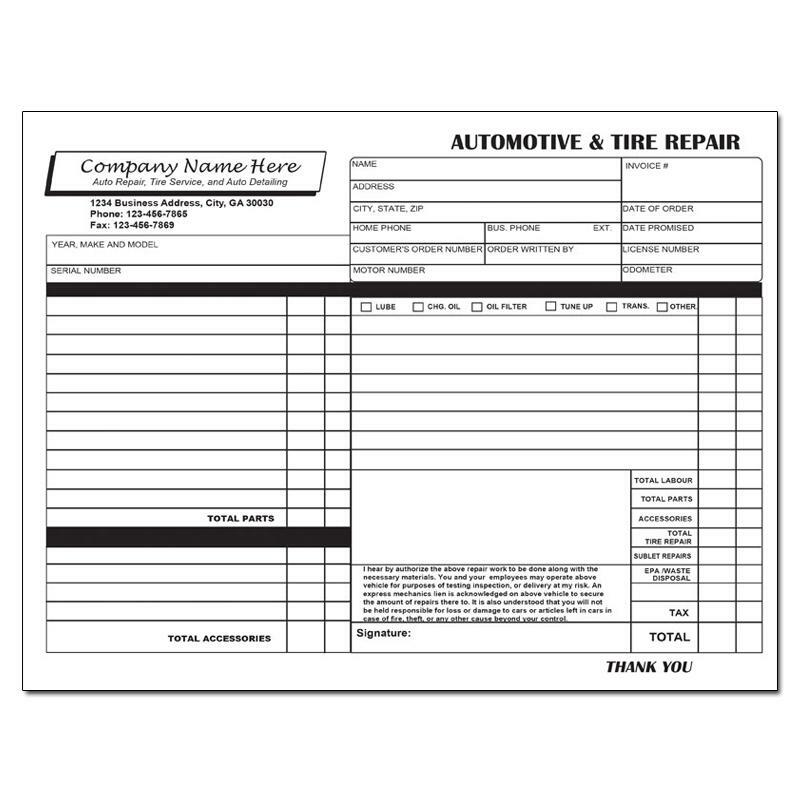 The tire shop invoices and repair forms have customer signature lines to give permission to do the work, and this helps with any questions that arise later. Filling out the forms completely leaves no room for questions or mistakes. You create the initial top sheet showing what needs to be done, they sign off on the work, and you do the job. 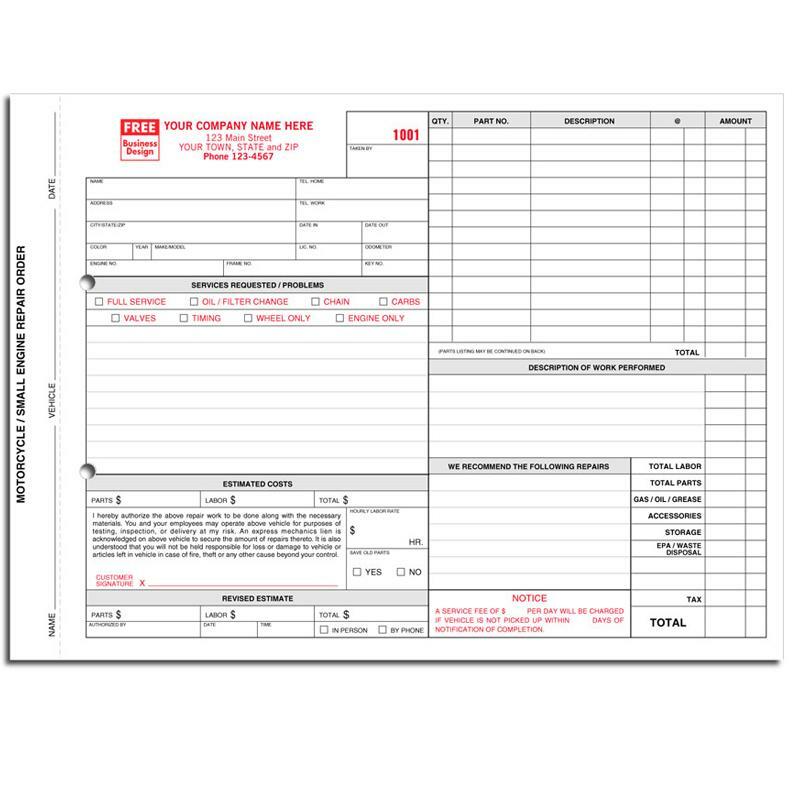 These forms make it simple and easy to manage all aspects of your tire and auto repair jobs.